Here you’ll find a list of blogs I own as well as a list of blogs I’ve guest-blogged for. Keep checking back as I have plans for future blog launches and I’m always looking for new guest-posting opportunities. Wining Wife® – Wining Wife® is a lifestyle blog founded in 2012. Topics include wine reviews and wine event announcements, chronicles of my daily life, recipes, marriage, spirituality, health and body positivity, sewing and other crafts, home decor and management, and other topics related to being a wife. 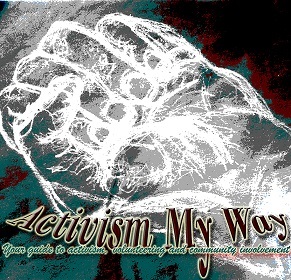 Activism My Way – Activism My Way was founded in August 2012 as an effort to bring more awareness to the community about ways that individuals can get involved with their favorite causes and organizations. This blog features profiles of causes, organizations, individuals, and cities with many suggestions on how to get involved with those causes. BWD Fabrics – This is a fabric sales site. Blog posts include tutorials, roundups of sewing patterns, and tips on how to sew as well as company news. Curvy Sewing Collective – This blog highlights sewing for the curvy figure. I’ve written posts on not waiting until the perfect time to start sewing as well as posts reviewing the fit of garments sewn from patterns. Rock The Deadline – Rock The Deadline is content marketing software created to help you curate news items to share with your readership. The blog is dedicated to helping content marketers learn the ins and outs of their field.